A wonderful and easy pattern filled with pictures guiding you each step of the way. 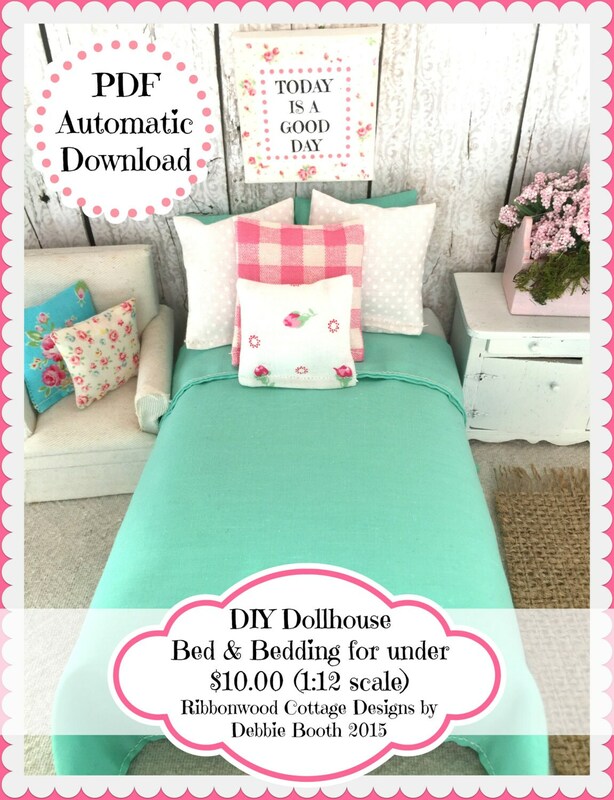 With these directions you will be able to make an inexpensive doll bed using simple ingredients-glue, foam core board, batting and cotton fabric. Using this technique, it will be easy to make 1 or several miniature dollhouse sized beds. 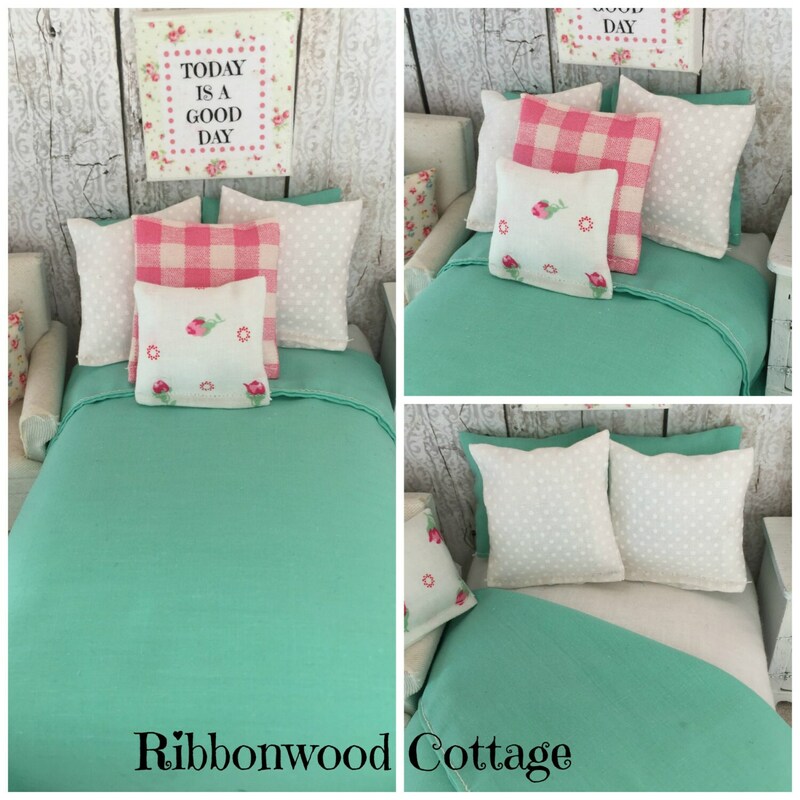 Directions also include making a comforter/bedspread, pillow shams, and accent pillows. 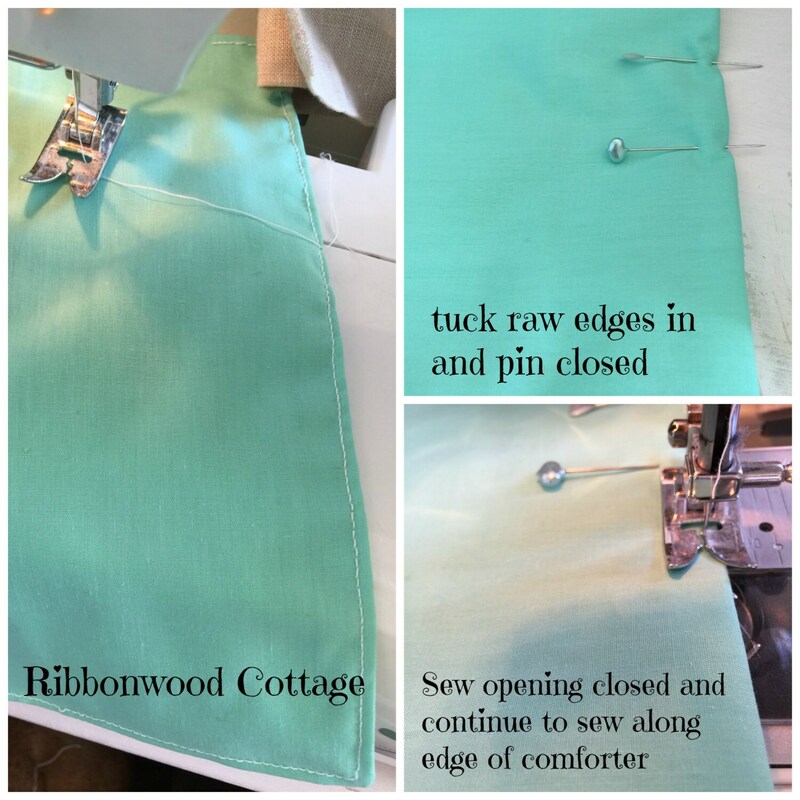 Measurements, how to pin and how to sew, easily explained with photos. 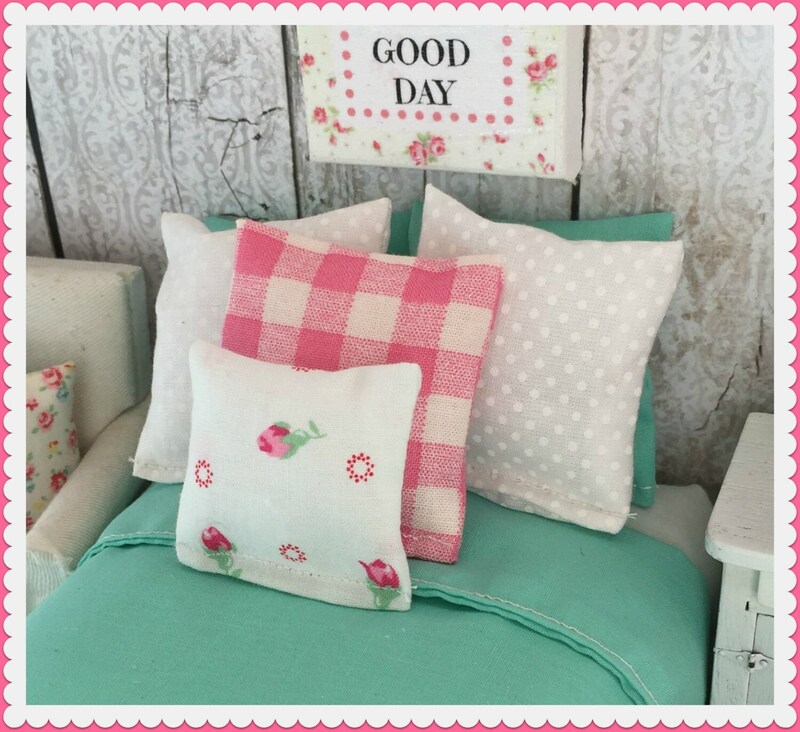 If you can sew a straight line you can sew everything in this pattern. Even a beginner seamstress can make all these items. *As a little girl I was absolutely enchanted with little things. I spent hours playing with little boxes, pieces of paper and fabric. I asked my mom to cut fabric into squares and rectangles, and then I would proceed to search out little boxes and items that I could cover with the fabric and make little beds, tables with table cloths, or curtains, blankets, sheets….Next I would take tape and paper, colors and colored pencils and I would make my own little checkbooks, credit cards, wallets, purses, cosmetic purses with round pieces of paper representing makeup, powder compacts, and lipstick. I have always loved little things, and now I hope to inspire you to make something little but beautiful and make someone very happy in a big way!